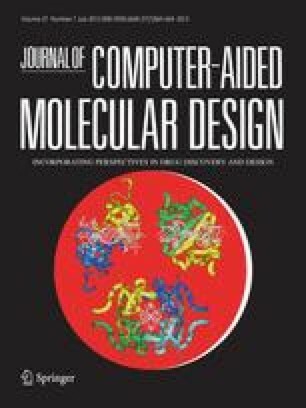 In-silico screening of flexible ligands against flexible ligand binding pockets (LBP) is an emerging approach in structure-based drug discovery. Here, we describe a molecular dynamics (MD) based docking approach to investigate the influence on the high-throughput in-silico screening of small molecules against flexible ligand binding pockets. In our approach, an ensemble of 51 energetically favorable structures of the LBP of human estrogen receptor α (hERα) were collected from 3 ns MD simulations. In-silico screening of 3500 endocrine disrupting compounds against these flexible ligand binding pockets resulted in thousands of ER–ligand complexes of which 582 compounds were unique. Detailed analysis of MD generated structures showed that only 17 of the LBP residues significantly contribute to the overall binding pocket flexibility. Using the flexible LBP conformations generated, we have identified 32 compounds that bind better to the flexible ligand-binding pockets compared to the crystal structure. These compounds, though chemically divergent, are structurally similar to the natural hormone. Our MD-based approach in conjunction with grid–based distributed computing could be applied routinely for in-silico screening of large databases against any given target.